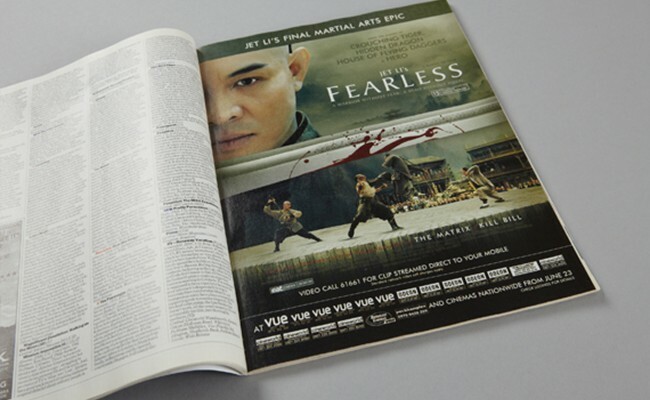 For over 10 years we have worked with Paramount Pictures on national campaigns for films such as Ray, Ghost Town, 40 Year Old Virgin, Napoleon Dynamite and many, many more. 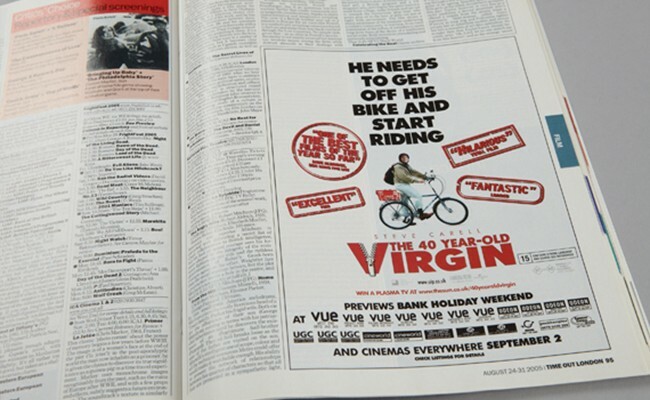 1977 Design have been responsible for the design and campaign handling for numerous Paramount Pictures films. Films have included Ray, The 40 Year Old Virgin, Black Snake Moan, The Grudge, Extract, Fearless, Ghost Town, Get Rich Or Die Trying, Idlewild, Napoleon Dynamite, Sleuth and Unleashed, and many more. 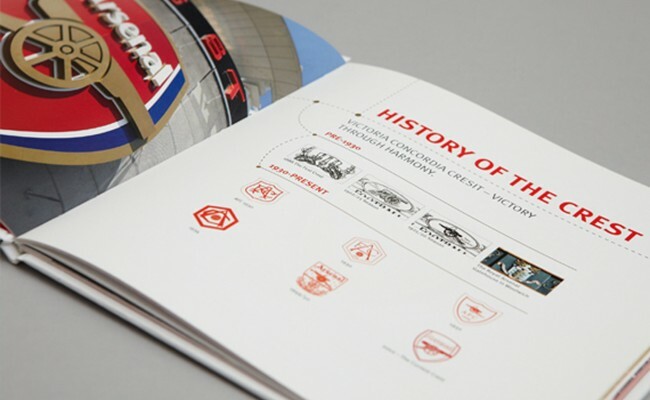 A guideline book was required to help licensees produce high-quality products which sit within the Arsenal brand. Football tactics and movements were represented as graphic devices throughout to guide licensees through the sections of the book. Using a hard-backed, case-bound book format along with a metallic gold throughout emphasised the high value of the Arsenal brand through the production techniques. 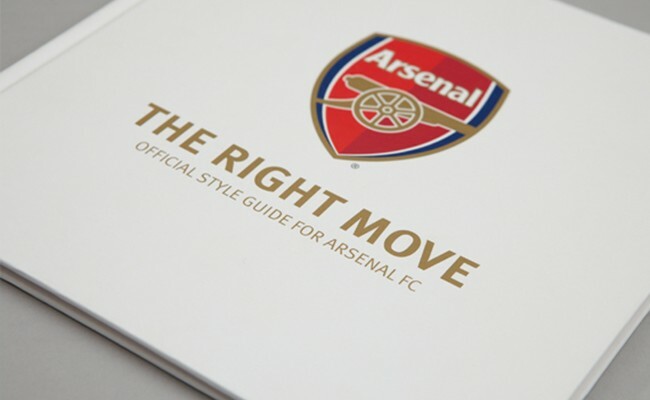 The style guide has been well received by Arsenal FC license holders, helping to improve not only the quality of the products, but also the process in which they work with Arsenal FC. The best way to make manufacturers understand the possibilities in using famous lyrics on a range of products is to show them potential products. Which is just what we did. 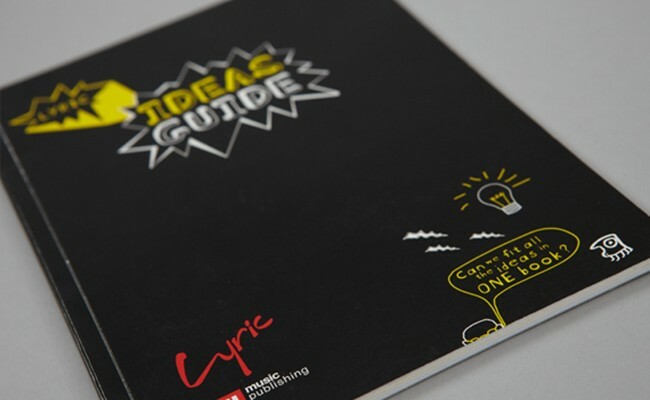 After talking with EMI Music Publishing we proposed the creation of an Ideas Guide, as the majority of the target audience were struggling to understand the potential of the Lyric EMI offer. The guide would therefore show a wide range of EMI lyrics on sample products. 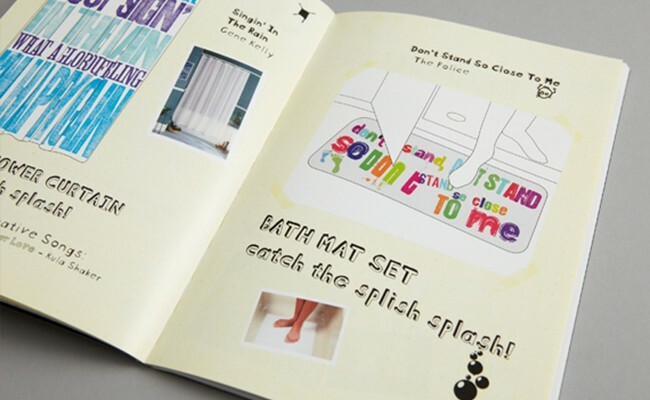 The brochure’s handwritten, doodle styling underlined its theme of being about ideas, and it contained product design ideas intended to spark interest and creativity in manufacturers. The Editors Construction Kit is a collection of 12 CD’s containing over 100 different sounds and themes which the user can piece together to create the required soundscape. The collection needed to be branded and packaged to reflect this functionality and appeal to the core audience of music users in the media. A brand identity was created to reflect the product’s functionality, based on the space around the sounds where ECK really comes into its own for producers. The brand identity reflects that by removing the ECK letters and creating the identity using the negative space between the letterforms. The bespoke pack that contains all of the digipacks was finished with bright colours and a spot UV over the ECK graphic elements adding to the quality and the style of the overall pack. 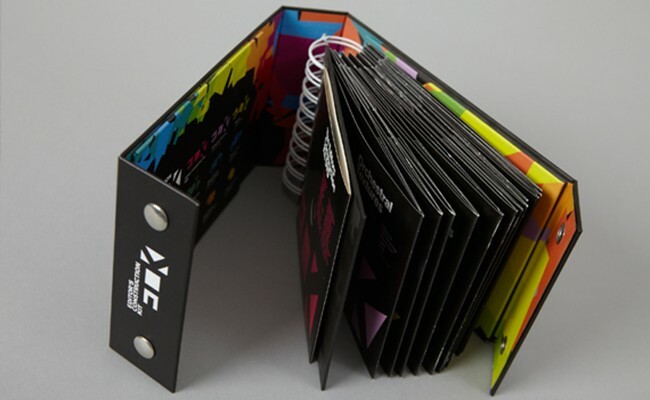 Each CD in the pack uses a version of the brand identity in various stages of construction. Each season Arsenal FC promote their membership scheme in a different visual style. 1977 Design were approached to design the visual environment for membership collateral for a number of years. The 2008/09 season creative was to commemorate the 1989 Championship winning side, and to focus on the last game of the season at Anfield where the title was won. Taking a look at graphics from the 1980s was the starting point for the creative. Using bold colours, display typefaces and a rough, cut-out style a distinct graphic look was created. 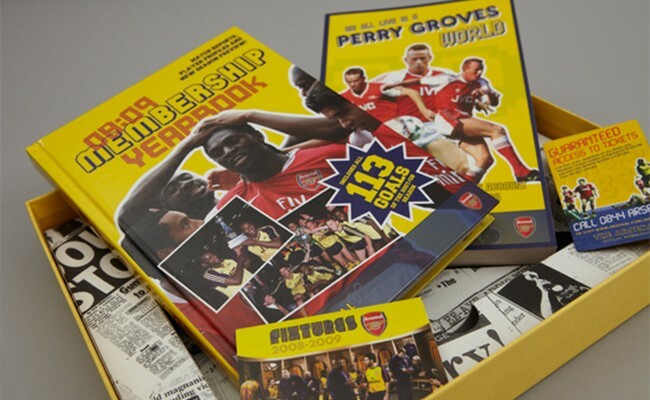 All items were pulled together through the use of consistant branding and the Arsenal colours of the kit on that final game of the ’89 season. All items were held within a bespoke box which was to emulate a typical box that had been ‘put away’ in 1989. This was emphasised with use of the clippings from the newspapers the day after the game which was printed onto the platform.